In the past six years, my dogs and I have seen a lot of this country. I take a lot of photos when I travel and my favorites are usually the shots with my border collie mixes Bowie and Dio (short for D.O.G.). Without the dogs, it’s just a pretty picture, but with them it’s a place I’ve been, a place I know and love. From time to time I’ll post some of my favorite photos on here from my travels with Bowie and D.O.G. 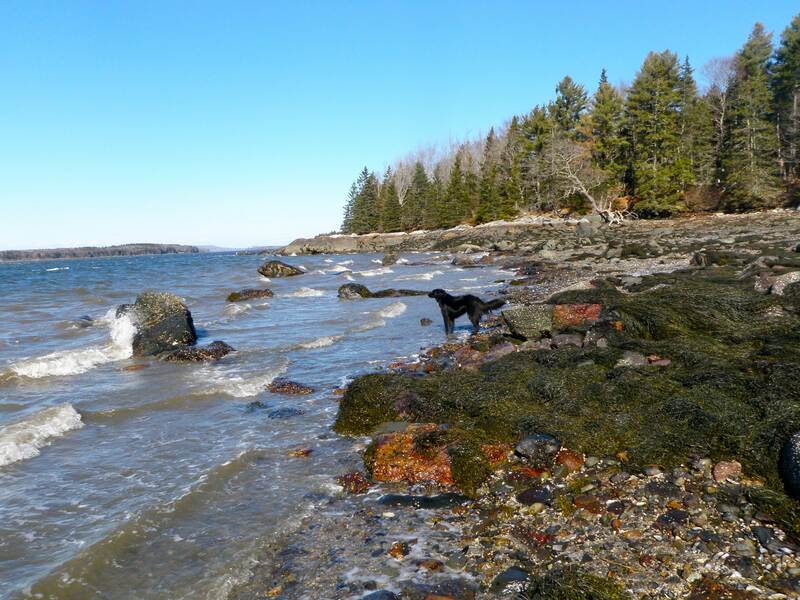 Today: the dogs on both coasts- Atlantic and Pacific! I love Oklahoma! I drove through there in April and got some great photos. I’ll post some Bowie & Dio photos from the Great Plains here soon. Are you anywhere near Shattuck? The Windmill Museum there is amazing- one of my favorite stops on the Maine to New Mexico trip! 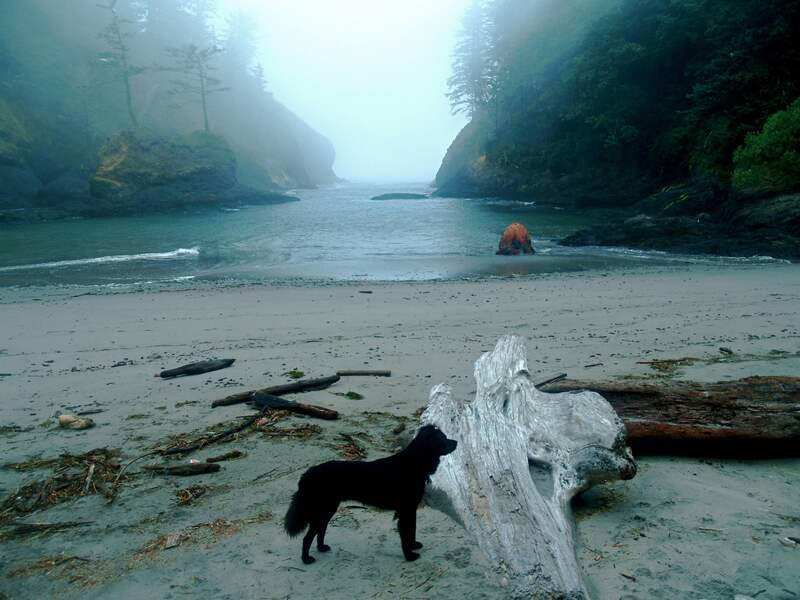 a long time ago i went on a trip with my family down the washington coast. i remember find that little cove, the last one of these pictures. i was totally enchanted by it. i have been looking for it ever since– i see it in my dreams sometimes. do you remember where it is, and how to get there? 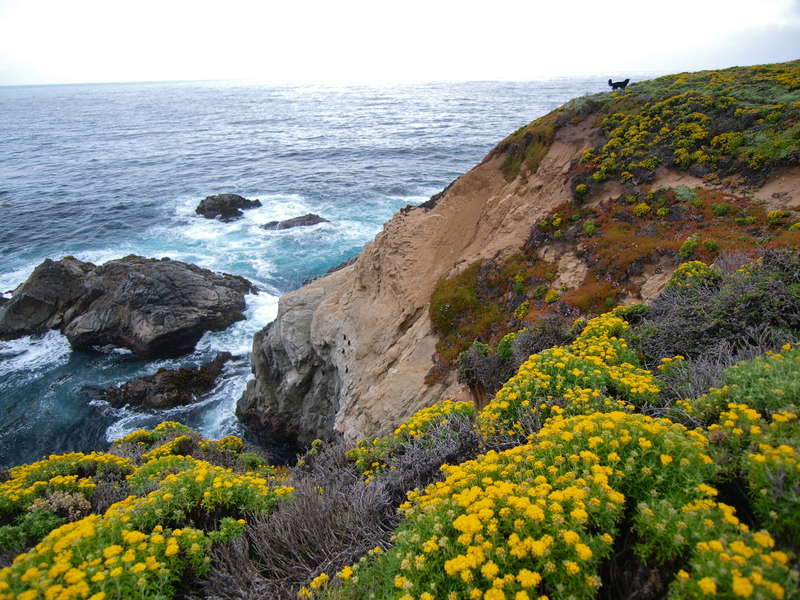 I especially love the photo from Big Sur! Makes me want to go back again. We had planned to do a second trip there in April 2011, but the road was closed due to landslides, which we didn’t know about until we got to the barricade. This, after traveling all the way from Santa Fe. We knew the road was closed from the north, but the southern closure had just happened. Very disappointing. But I love the area and will plan to go again sometime.